What is a Garden Gnome? A garden gnome (also known as a lawn gnome) is a figurine of a small humanoid creature usually seen wearing a tall, pointy (red) hat. 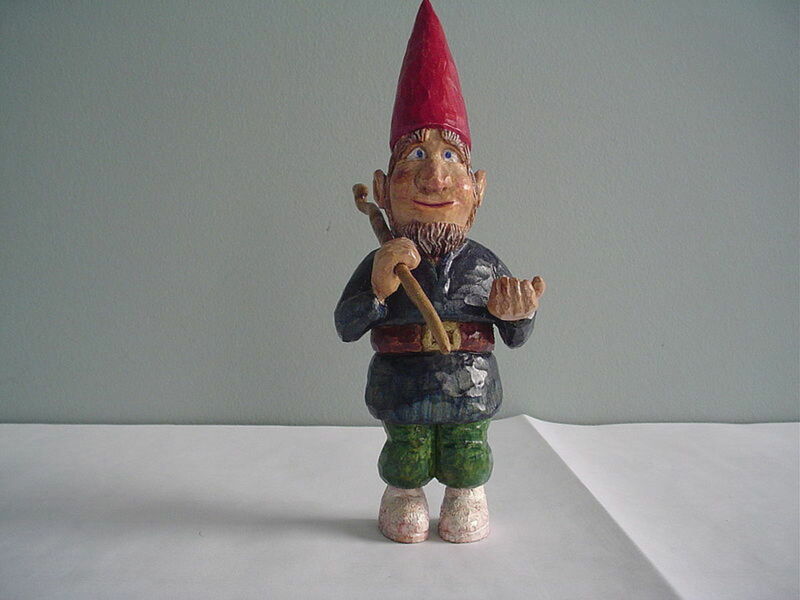 Garden gnomes are produced to be used for the purpose of decorating one garden and/or lawns. These gnomes are thought and believed to protect whomever uses them from evil. These figurines originated in Germany in the 19th century and were called Gartenzwerg, which literally translates to “garden dwarf”. 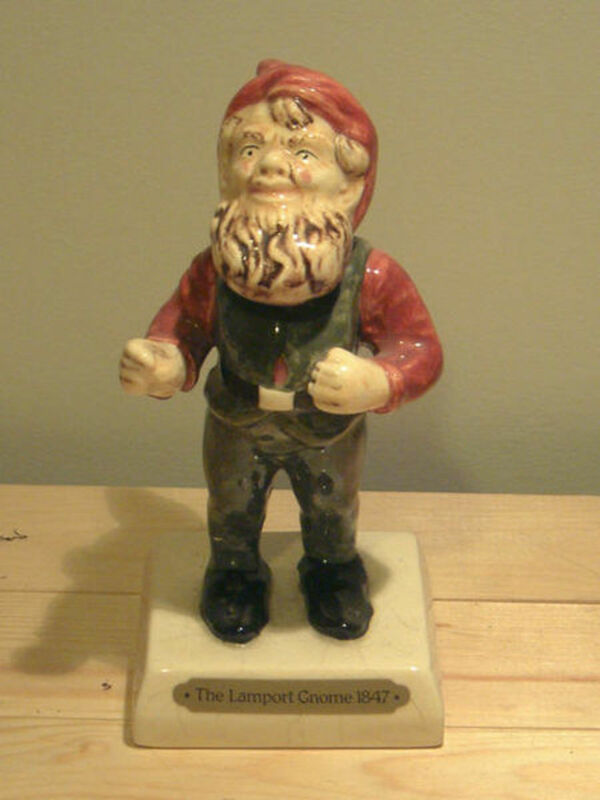 It wasn't until the 1930s that the English term “gnome” came to be. There are many different types of garden gnomes. Gnomes are seen in many different positions and even made from different types of mediums. Typically garden gnomes are male dwarfs with a long, bushy white beard wearing a tall, pointy red hat. 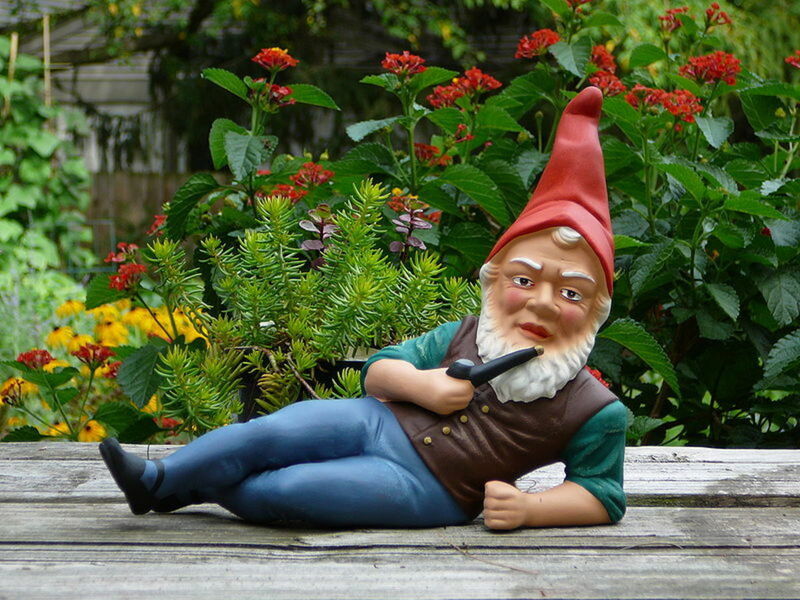 Garden gnomes are also typically known to smoke a pipe (or are usually seen holding a pipe). Lawn and garden gnomes are seen in various positions, such as, standing, lying down, sitting, etc. Gnomes are also depicted to be engaging in various activities, such as, fishing, napping, etc. 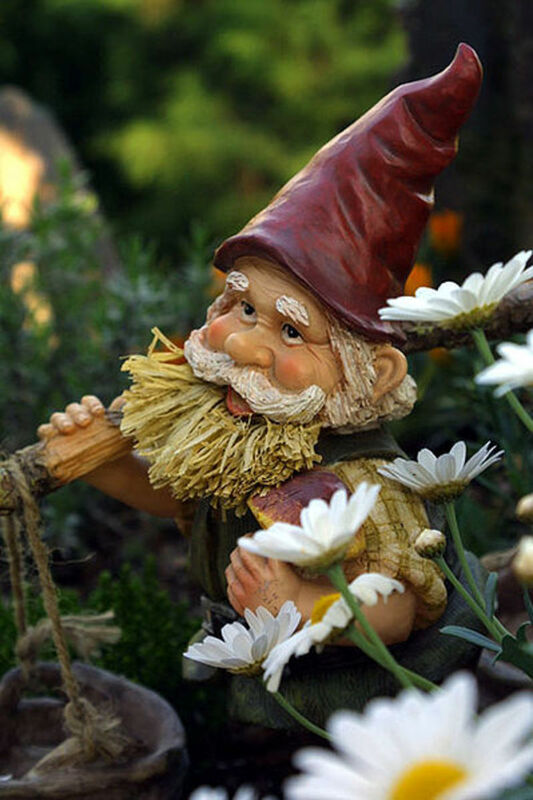 Garden gnomes can be made from wood, porcelain, ceramic, or terracotta (a runny clay). 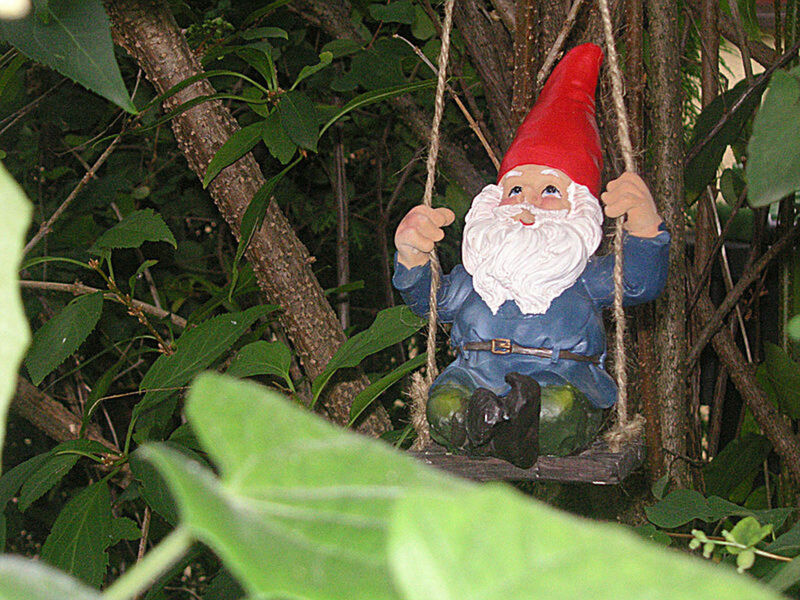 Garden gnomes have always had a unique history in Europe, and gnomes have even wedged their way into American pop-culture becoming quite the craze. 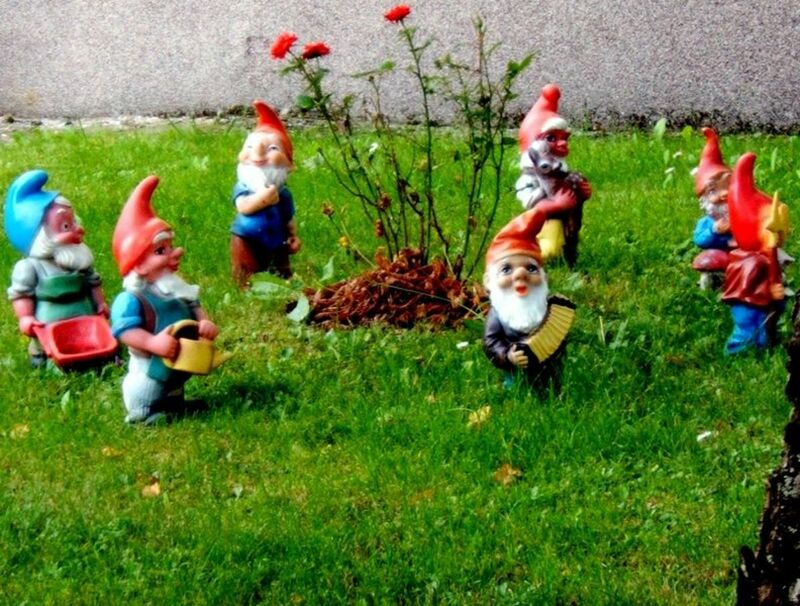 Now gnomes are seen everywhere, from the lawn next door to the lawn across the world. Today, every collector and hobbyist alike are looking for gnomes. 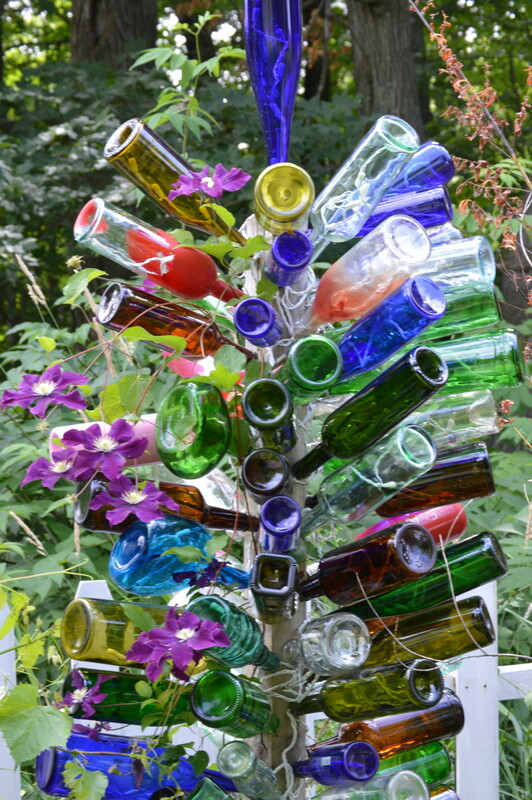 Garden decorations, especially garden statuary has been common throughout Europe since the Renaissance. It was believed that these small human-like beings would rid evil from the lives of those whom own the gnome. In 1616, the statues only depicted Gobbi (an Italian hunchback). By the late 18th century, porcelain “house dwarfs” were created and being produced on a wide scale (at this time Switzerland were also producing wooden statue of dwarfs and gnomes as well). 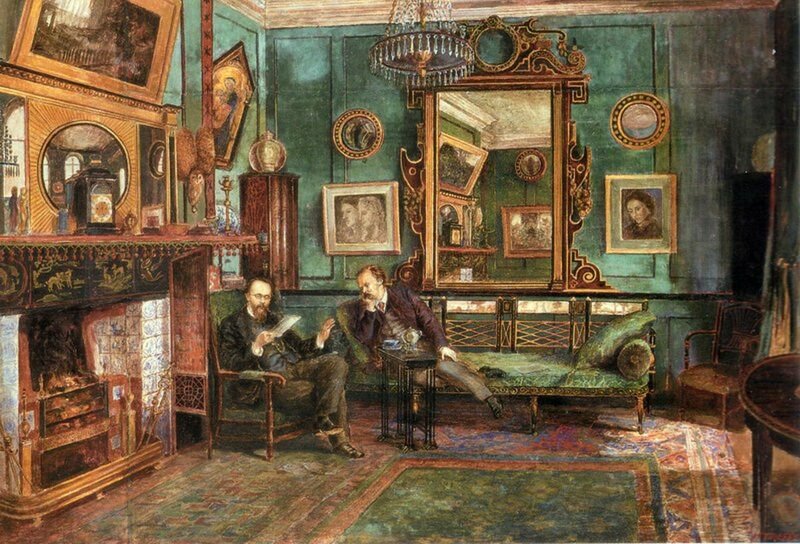 Soon enough gnomes became a very popular house, lawn, and garden ornament and this popularity steadily grew throughout the 19th century. Even though there has been evidence that garden gnomes were being produced and widely distributed to be used as lawn decorations meant to protect against evil, the first manufacturer of these dwarf statues is controversial. Garden gnomes have been manufactured, produced, and distributed for centuries, but the “title of manufacturer of the first garden gnome is hotly contested” (wikipedia). It is possible that the first manufacturer of garden gnomes arose as early as 1841, these early gnomes were being produced by Baehr and Maresch of Dresden, but there is evidence suggesting that gnomes were being produced by many other countries as early as 1860 as well. “Philip Griebel made terracotta animals as decorations, and produced gnomes based on local myths as a way for people to enjoy the stories of the gnomes' willingness to help in the garden at night. The garden gnome quickly spread across Germany and into France and England, and wherever gardening was a serious hobby” (wikipedia). Ever since gnomes came onto the hobby scene in the 19th century small manufacturers popped up all over Germany. The manufacturing of gnomes spread all across Germany, and each manufacturer had their own sense of style and design for the garden gnomes. Germany was the first (or one of the first) countries to manufacture and produce gnomes for collectors since before the 19th century. 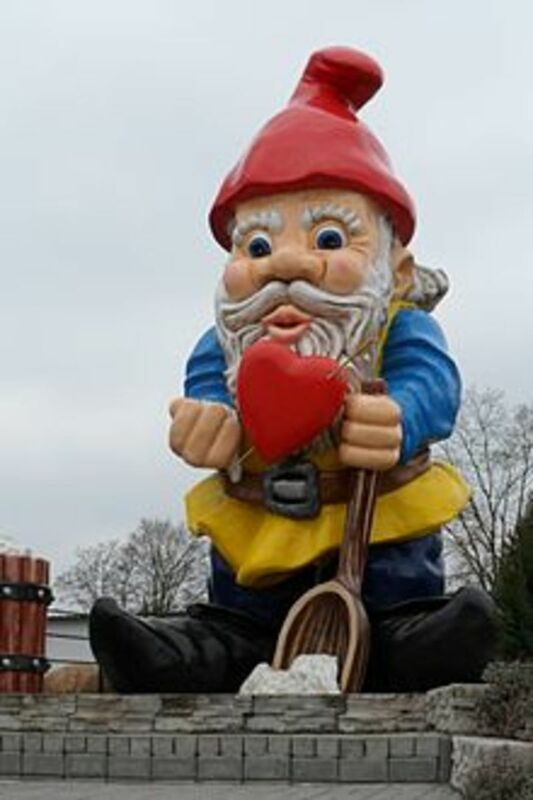 Gnomes became very popular in Germany (there are an estimated 25 million gnomes spread across German lawns) and soon other countries jumped on the garden gnome wagon. Gnomes are also considered to be a huge part of easter and western European culture, and were even seen in the tales written by the Grimm brothers. "The Brothers Grimm featured gnomes in 'The Gnome', a series of short stories detailing the lives of gnomes. These stories depict gnomes in benevolent and malevolent lights, but the first one is perhaps the most important: in it clothing is given to two helpful gnomes and they decide to serve a cobbler and his wife for the rest of their days. Other stories exist of gnomes’ helpfulness in the oral tradition and relate the willingness of gnomes to assist in gardens" (gnomefrenzy). Garden gnomes were first introduced into the United Kingdom when Sir Charles Isham came home from his vacation in Germany and brought 21 of the terracotta figurines with him, displaying them in his home and lawn in 1847. Garden gnomes became very popular amongst collectors and hobbyists for centuries and today gnomes continue to gain popularity all over the world. 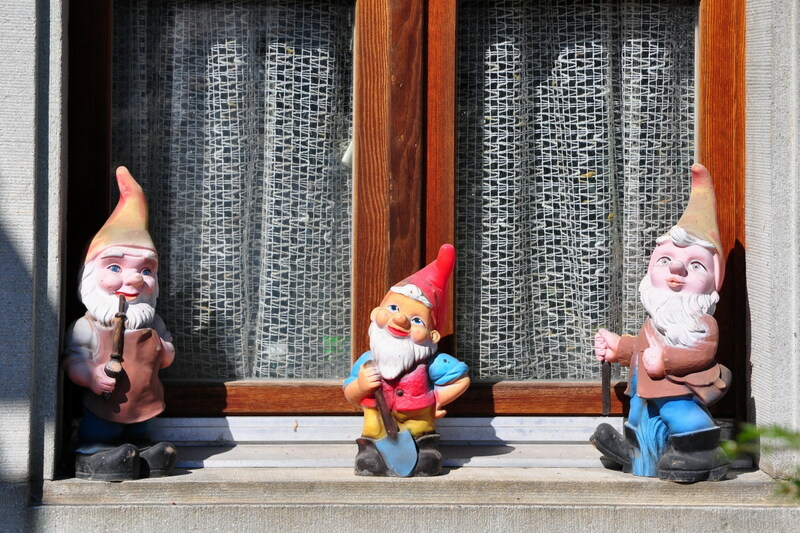 In recent history, garden gnomes have made a resurgence in the United States and Western Europe. Garden gnomes have popped up in films, television shows, commercials, books, advertising, etc. Today garden gnomes are seen across the lawns and garden of many all over the world. Their popularity continues to grow and the production of garden gnomes continue. 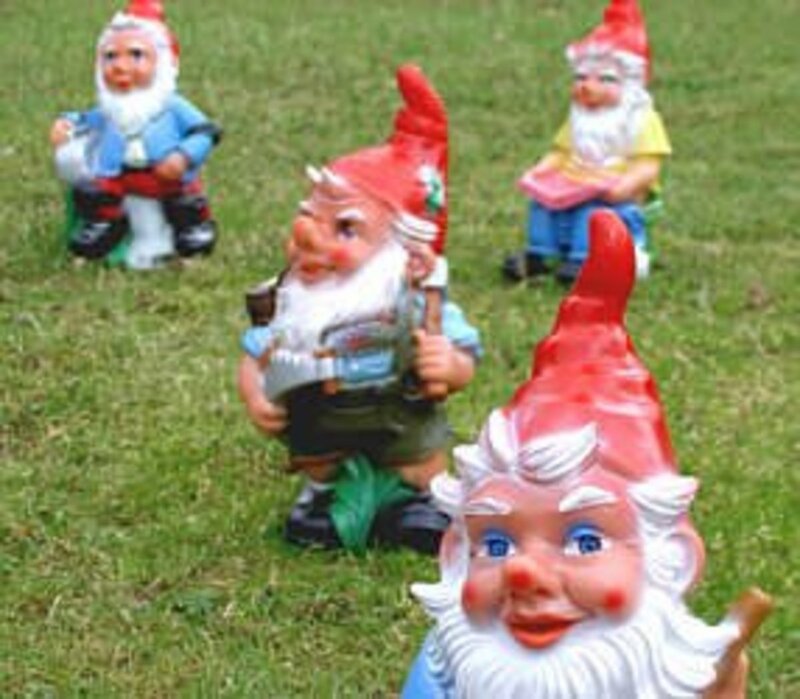 Garden gnomes have become so common that pranks have even been created around the stealing of garden gnome (most commonly referred to as gnoming). Some have even begun to travel all over the world collecting (stealing) gnomes from gardens in several different countries. The history of garden gnomes is unique, long, interesting, and even comical. Garden gnomes will always have a presence in all cultures and will survive and live in peoples gardens, home, and lawns for centuries to come. Garden gnomes even have their own holiday; International Gnome Day was instituted in 2002 and is celebrated on June 21st by over a dozen countries. 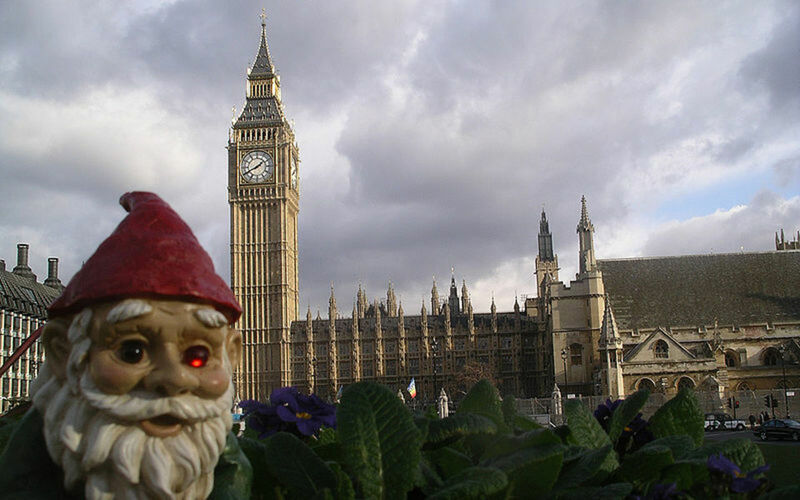 The traveling gnome prank later became the basis for Travelocity's “Roaming Gnome”. 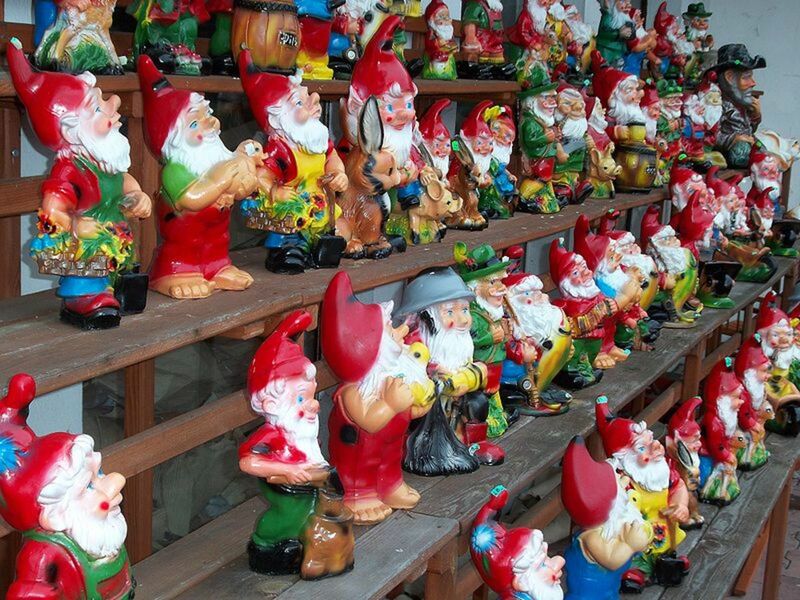 In 2008, a 53-year-old French man was arrested on suspicion of stealing upwards of 170 garden gnomes. What about the garden gnomes inner-city cousin: the metro gnome?? 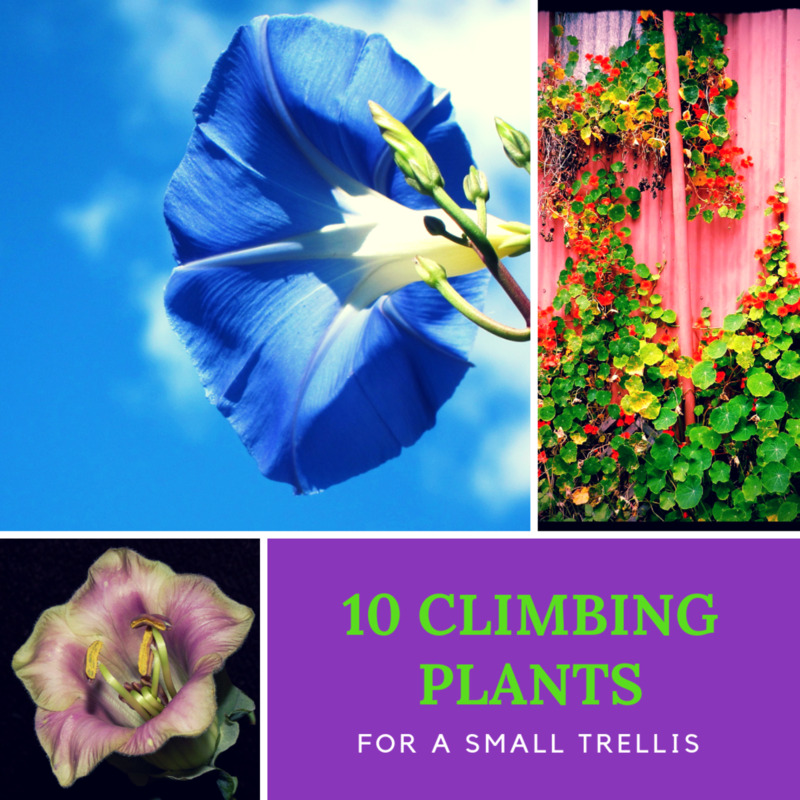 I've seen them growing along the road-side near construction zones... I think they live underground... All I usually see are their hats. Or maybe that's where they bury them when they die.... Not sure. Not a gnome lover myself, but my parents liked them and had some in their garden, I grew up with them. Nice job keep it up. I love garden gnomes. We have a copy of the gnome book by Gnomes by Poortvliet and it is a favorite. Love sticking those little garden gnomes on fun places around the yard. Great hub. Love this! Voted up. Creative, cute, funny. I don't like garden gnomes either. They seem silly and creepy at the same time to me; and are a symbol of superstition that I disagree with. Like keeping a rabbit's foot for good "luck". But I think your hub is well-written. Congrats on HOTD. Very interesting article. My neighbor has about 10 of these little guys in her yard. I think they are adorable. I have a bog book about gnomes. When my niece saw it a few weeks ago, she wanted to take the book home. As a bibliophile it was tough to part with it, but I did not want to be a hypocrite as an English professor by not promoting and encouraging the love of reading and books. So I made my 7 year old niece sign a contract to return the book to me. She loved the pictures so much and kept asking everyone to fill in the words she could not read that she was driving them crazy. She has a garden gnome coming in the future as a present! Well now I have learned something today. I didn't know anything about gnomes. But someone in my hometown took the local pubs gnome traveling. Then it just showed back up one day. Congrats on the hub of the day! You deserve it as this is great. Love the pictures! There was a newstory on NPR recently about gnomes in Oakland, CA. Should check it out..Aah, gotta love a gnome really. Congrats on the Hub of the Day! I too am not a fan of gnomes, ewwww I say! Great hub on them though and I enjoyed the history! Very interesting history. I have a few ceramic molds for gnomes, and can make as many or as few as I want. LOL Until recently, I had a small, wholesale ceramics business, and the gnomes were never ordered much at all. I guess you have to live in a "gnomy" area. I don't see them displayed around here. What a charming hub and congratulations on HOTD! I thoroughly enjoyed reading this as I love these little guys. I have had some of these gnomes at different times, but I did not know the history behind them. And it is quite a history. Thanks for a really fun and informative hub! Hey, I remember the story about the cobbler and the gnomes! This was an interesting feature. Voted up and interesting. Great HOTD. Through your fantastic hub only I got an enriched knowledge about this figures. Very nice of you! I played a garden gnorm screen game sometime ago. Now I know where those guys came from. I always wonder where these guys came from. Thanks for the interesting information. 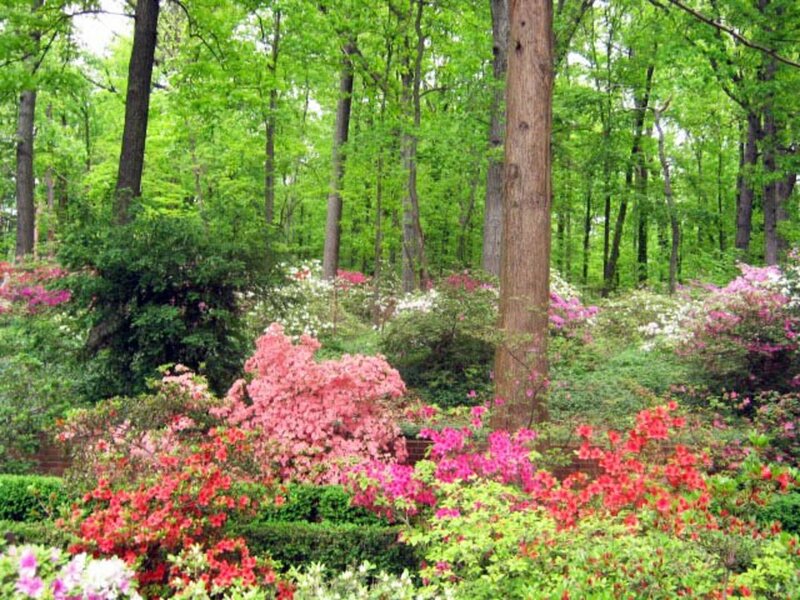 I have a fascination on gnomes, dwarves, elves, to name a few of these characters in their own worlds, but I have no collection of any of them, or in my backyard garden. I do wish in some moments that they come visit me *smile*. I read about them and this is one nice read here. Thank you, JamiJay, and congratulations to Hub of the Day! I love the concept and also the movie Smurfs :) ... Good One and Congrats for being hub of the day ! I love to put stuff in my garden but have never used a garden gnome. I might have to look into that if they are supposed to bring good luck. I need all I can get with my plants! I think garden gnomes are fascinating. Thanks a lot for sharing so much interesting information about them. Congratulation on becoming Hub of The Day, this is surely a deserving Hub. Beautifully Beautiful Hub indeed. I showed the photos to my grandchildren and they insisted we want it.. we want that....! Thank you for this. As I get older, I see no harm in allowing fantasy back into my life. haha! Actually I not a reader guy, but this one got me. billybuc, haha. I have never anyone who willing admitted they did not like garden gnomes :) I have always liked them and I have a lot of friends who make them themselves, but I do not own any myself, because here in Vermont there are a lot of gnomenappers. I had friends in high school that were involved with gnomenapping and they even created a special place in the woods (off trail) where they set all of them up, "releasing them back into the wild" lol. I have a confession to make....I don't like garden gnomes. LOL Having said that, the history you shared was pretty interesting, so thanks. If this ever comes up in Trivial Pursuit I'll be ready to score.